With extensive knowledge and connections in the dance music world, Amy has grown to become one of the most established marketing execs in her field. With 4 years experience running the marketing department for D&B powerhouse Hospital Records, she has grown to become a multifaceted individual with extensive knowledge of the wider musical landscape. In 2016, she was also recognised by ‘Music Week’s 30 Under 30 Best of The Rest’, a list celebrating the brightest young execs in the music industry. With appearances as a guest panellist at conferences such as Amsterdam Dance Event, AIM’s Indie Con and Beats Evolution Conference in Prague, she has proved that she can confidently share her wisdom with large audiences across the world. This year Amy swapped city life for the seaside, bagging herself a spot on the Brighton Music Conference advisory board. 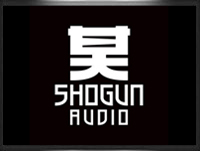 Joining Shogun Audio LTD in September 2017, she now runs the marketing departments for Shogun Audio, Elevate Records, SGN:LTD and Maraki Records. Carl Loben has been a music journalist for over 20 years. He wrote for the weekly music paper Melody Maker for most of the 1990s, and was on the staff at DJ magazine for most of the noughties – he’s still a Contributing Editor to DJ Mag, and a freelance journalist, based in Brighton. Moving to DJ magazine just before the Millennium, he covered all the diverse electronic music styles and finished up as deputy editor before moving to Brighton and reverting back to freelance journalism once again. He wrote the electronic music section for the Billboard Music Encyclopaedia a few years ago, and wrote for MOJO magazine for most of the noughties too. He’s also written for the Guardian, Big Issue, Attitude and assorted other mags and websites. As well as writing, Carl also manages a ‘rock & rave’ band called Killaflaw, occasionally produces music himself, runs a record label – Westway – and DJs in clubs and at festivals. He’s interviewed many notable figures within music, and recently has started doing some lecturing too. Damien Fell - General Manager, Booker & Programmer, The Arch, Hub, Hideout & Cannon Place Warehouse. 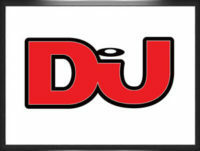 Damien has been in the music industry in a number of capacities for the past 15 years. Having previously been employed as General Manager/Operations Manager for Rainbow Venues, Gatecrasher, The O2 institute, and his own financial venture live music venue Alfie Birds & The Oobleck; all of which are in his hometown of Birmingham. At the same time as these roles Damien had also a keen interest in the more creative and music focused area of the industry, with a number of curated club brands, events and djing over the years, as well as event & music reviews for a number of online magazines. After leaving Birmingham in 2016 for a change of scenery and a breath of fresh air, he now resides in sunny Brighton. Having initially made the change for a break from the industry, it wasn’t long before the action and the music came beckoning. Just 4 months in fact. 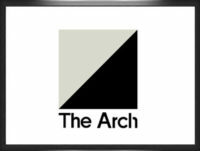 Damien is now General Manager, Booker & Programmer for Brighton’s historic venue, The Arch, and all connected venues. In addition, Damien is founder of 2 of Brighton’s biggest clubbing brands, Wonderland & Boxed, welcoming some of the biggest names in electronic music to perform at his shows. 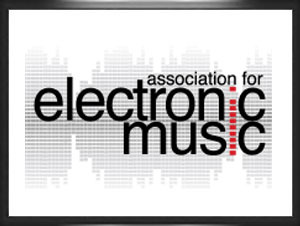 Currently the Head of Membership at the Association For Electronic Music (AFEM) following a 20 year route through the music industry as a drummer, producer and DJ with extensive experience within record shops, independent labels, music rights and royalties organisations. The love of music, organising, connecting and helping people brings me here. 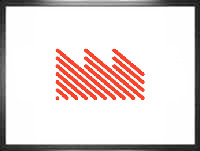 The award-winning, drum & bass empire that has been responsible for shaping the careers of some of electronic music’s most successful artists such as Rockwell, Icicle, Alix Perez and of course BBC Radio 1’s Friction. Having started his own career as a producer some 15 years ago under the alias K-Tee with numerous record releases to his name he is today a record label & publishing company director, A&R scout, multi-national events planner, marketer and artist manager for both Rockwell and Icicle. Sacha has been working in the dance music world for over 20 years, cutting her teeth as a promoter for Sundissential in Ibiza, before partnering with Dan Prince from DMC for the Scream events at the Bristol Academy. She then went on to start her journey as an agent and manager for Serious Artist Management, representing Judge Jules, Norman Jay, John Kelly and many more. Her strong entrepreneurial spirit then saw her launch her own DJ agency, Ideal DJs Ltd, managing artists such as Filthy Rich, Pete Gooding, Eats Everything, Prok & Fitch, Will Bailey and many more, this then led in to her move into Radio, launching the Ideal Clubworld in 2011, the first live and visual Radio platform video streaming from DJs studios around the world. 2017 saw her join forces with Grahame Farmer to launch Data Transmission Radio, which now provides a platform for DJs, labels and club brands from all over the electronic music world, to showcase and share their music, with a discerning audience of dance floor lovers worldwide. Now in it’s 2nd year, with over 130 shows a month from some of the biggest names in the business, combined with new up and coming talent and everyone in between. 2018 also saw her partner with Jude Thompson to found the Women in Dance Music Collective, to amplify and support all women working throughout the electronic music scene. Hailing from Brighton in the UK, Sarah has over 15 years experience in dance music events and has promoted some of the UK’s biggest brands. 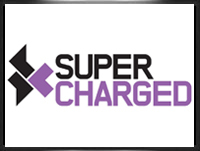 After managing venues and promoting club nights Sarah went to work for and eventually bought the Brighton based, award winning record label and events brand SuperCharged. To this day the brand continues to present over 50 events a year and retains a stronghold as being one of the most reputable club brands in dance music on the South Coast. Whilst maintaining the ground level club events Sarah has continued to develop her skills and expand her knowledge into new areas of the events industry, working along some of the industries most exciting music and expanding within the global events market. Working with the RAM records team, Sarah helped to expand their events business into new areas and take on larger venues, with their first Andy C ‘All Night’ at Brixton Academy, while managing their tours and events. Continuing to be a lead booker and consultant for various festivals both in and outside the UK she has maintained her reputation as one of the industries ‘go to’ members when it comes to live events and an authority that is respected across the scene. Now residing at AEI Group as their Director of Talent, Sarah books Festivals including Detonate Festival and El Dorado and works on their brands including Let It Roll, UKF and Drum&BassArena. 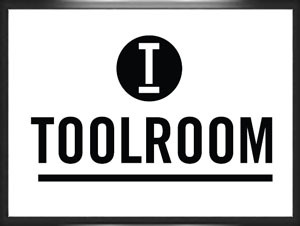 Stuart Knight established Toolroom Records in 2003. Alongside his DJ/producer brother Mark Knight, he has shaped Toolroom into one of the leading independent dance companies in the world – launching the careers of some of today’s key electronic music artists in the process. More recently Stuart has steered Toolroom’s expansion into multiple business areas, including an international live brand in Toolroom Knights, which regularly hosts festival stages and arenas; content creation through Toolroom TV, which has been broadcast on Sky TV; and a successful publishing venture with Toolroom Publishing. Stuart oversees a staff of twenty at Toolroom HQ in Maidstone, Kent. 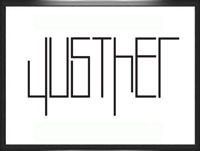 Tristan is presently a Regional Manager at the Association For Electronic Music (AFEM) after 15 years working his way up through the music industry in numerous capacities; starting out in VJing, DJing and lighting tech to events management and business development for international companies. An enthusiasm for dance music, the industry and it’s culture, and progress are what drives him. He also co-chairs AFEM’s Protect Mental & Physical Health for Fans & Professionals working group. Wendy coordinates all music industry showcases and auditions, giving students the chance to take their first real steps into the industry. 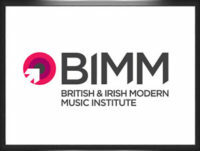 She’s instrumental in booking music industry masterclasses and guests appearances, offering students a unique and engaging insight into the industry, and she’s also responsible for arranging BIMM’s End of Term gigs, to which she invites industry specialists.